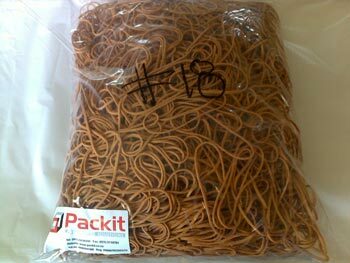 A new consignment of RUBBER BANDS has arrived and is selling at great prices. All stock is in Natural, the quality is very good, and all sizes are packed in 1kg bags. We have stocks of size 12, 14, 16, 18, 19, 32, 34, 38 & 64. The next container is on order but stock is selling out fast, so don’t delay on ordering. The SPECIALS on VACUUM PACKERS and HAND WRAPPERS are still in place and the orders have been pouring in as customers take advantage of these exceptional prices. We still have a few machines left – get your orders in now to secure your machines. If the lines are busy try emailing your sales consultant or use our packit@packit.co.za address.